This window style is the most popular choice of home owners thanks to its simple design and the ability to adapt to any architectural scenario. 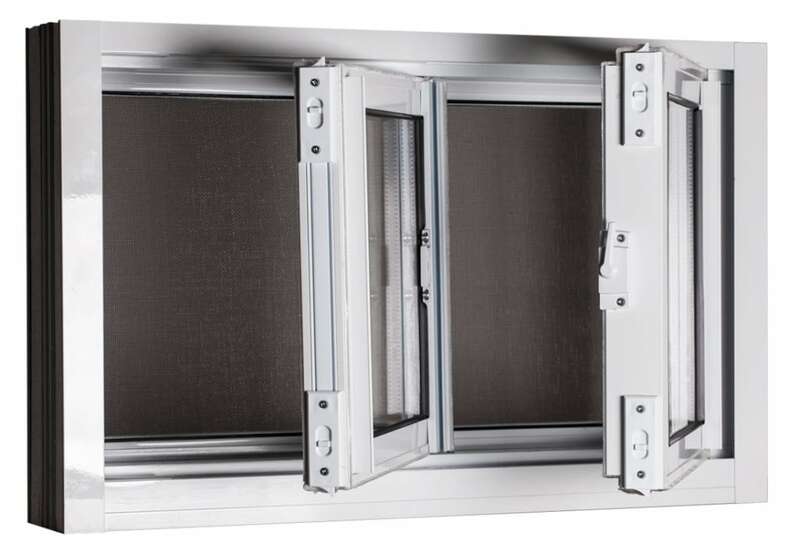 Double Slider Tilt windows are easily installed and are able to provide maximum air flow into large areas of your home. These windows are also the perfect solution for space limited rooms, where exterior projecting windows cannot be used. Their smart design allows for both sashes to tilt inward permitting an open view, while the screen can be easily removed. For those who prefer the natural warmth and traditional aesthetics of wood, casement windows are also available in Aluminum Clad Wood option. 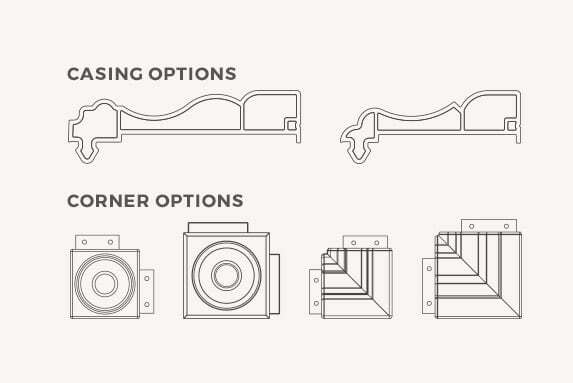 If you choose this option, your double slider windows will have a wood frame which will be covered on the outside with aluminum structure making each window extremely resistant to weather conditions. 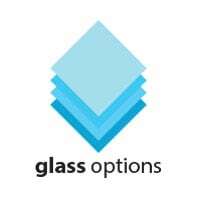 – Sealed glass unit has 13/16″ overall thickness. – Fusion welding corners provide attractive appearance & eliminate the need for adhesive and sealants. There are no imperfections on the completely watertight and airtight surface. Internal walls are also welded for increased overall structural strength. – These windows have the highest number of internal air chambers, giving them outstanding insulation and sound abatement qualities, as well as thermal efficiency and increased sturdiness. – A choice of maintenance free PVC jamb extensions, frame moldings and corner blocks are available to enhance inside finishing. – All windows are made of an exclusive 100% uPVC powder compound that is entirely lead-free. This special compound gives the system a better resistance to impact and dislocation. The windows are maintenance-free and will not crack, blister or warp. Installation is crucially important for a good performance and a long lifespan of a window. Therefore we work only with experienced teams of installers who know their job and are true professionals of the industry. 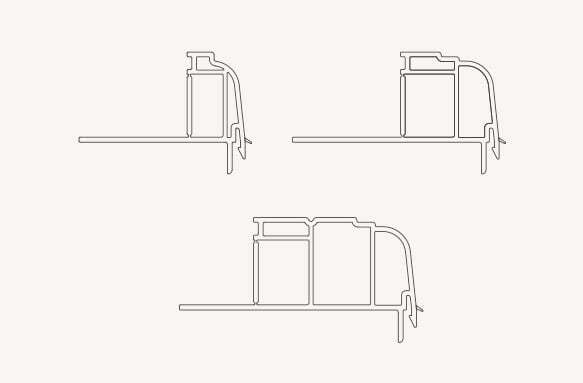 Our experts are capable of doing the following types of window installation: retrofit, stud-to-stud and brick-to-brick. 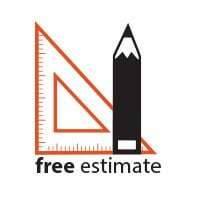 There are four standard vinyl jamb sizes available for installation of your windows. Besides, at Northview we can also provide wood jamb extensions as well as corner blocks and frame mouldings – just to ensure our customers receive smooth and beautifully looking windows. Our brickmoulds are manufactured from durable and maintenance-free PVC powder compound and provide a year round excellent performance in the Canadian climate. Our brickmoulds are available in a variety of sizes and colours so your new windows can blend seamlessly into the exterior appearance of your house. We offer a large assortment of vinyl trim options for exquisite and stylish finishing touch. Aesthetics of our trims are enhanced by advanced technology which ensures the material will stay durable and free from colour changing for years. We offer standard and custom palette of colours. 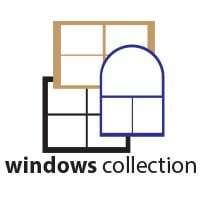 If you have questions about our windows or any other product, please call us or fill out the form below.